Is your backyard oddly shaped or so small that you never thought you could fulfill your dream of having your very own in-ground pool? Crites Custom Pools has actually worked with all kinds of spaces – very big and very small – and we can figure out a way to install your dream pool right in your backyard no matter how much space you have to work with. Pools don’t have to be a certain size to be enjoyed, but it can be hard to picture one that’s not as massive as the one at your gym or local school. Pools can come in all shapes and sizes, but if you’re lacking in the inspiration department, head over to Decoist to check out some cool small pool ideas and discuss what you have in mind with us. We can take any idea and help identify how feasible it may be and offer alternatives and suggestions to create a custom pool to fit your space. Decoist suggests melding your small pool into your home’s already-modern design and making it an extension of your living space. By adding a deck next to the smaller-than-normal pool, you can extend your common seating and relaxing areas and join them right up to the pool. A classic rectangular design with some well-placed lighting features can make a small pool seem bigger than it actually is. For a backyard that’s mostly green, make the focus of the pool area your plants. Adding lots of lean, tall trees and shrubs surrounding your pool space can create a green and inviting space. Plus, the height of these plants as they grow will make the area seem larger. If you’re worried about seating areas, install a long, narrow pool that’s perfect for soaking or swimming laps. Home Design Lover suggests you can even create seating on top of your pool by adding a built-in bar or cabana where guests can sit and dangle their feet in the water without being totally submerged. Finally, when you’re pressed for space, shape doesn’t matter. If your backyard has a natural angle to it, see if you can incorporate that into your pool design. Embrace triangles, rectangles, squares and even more eye-catching shapes like octagons. Is your home directly next to a steep hill? Try a sloped-edge pool or wet edge pool to take advantage of the incline. 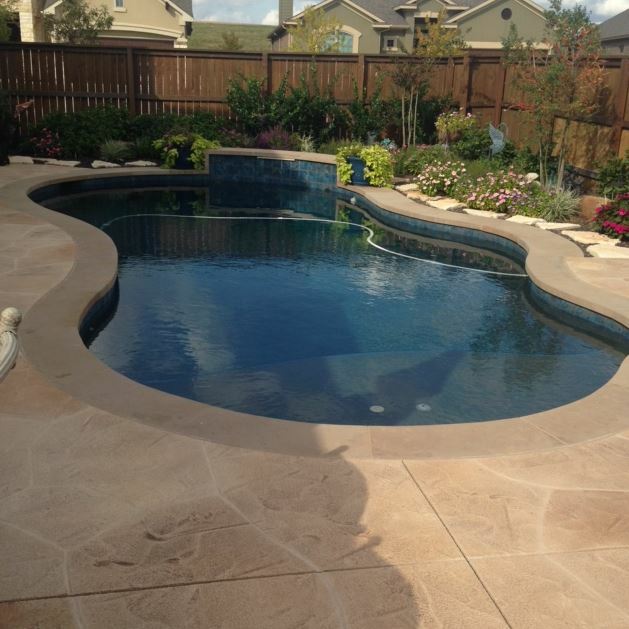 For more design tips or to talk to a custom pool installer about what’s possible with your uniquely shaped yard, call Crites Custom Pools today at 512-759-2630.